India is rich with some of the great musicians and vocalists who have famed nationally as well as internationally, bringing in umpteen accolades and honors to make the country proud. There are number of Hindustani Vocalists in India, out of all below are the names of Famous Hindustani Vocalists in India. He was born in the year 1908. Initially, he started learning music from his two gurus, his father and his father’s elder brother. As he developed his passion towards music he started composing songs and recordings in Doordarshan and Akashvani. As his journey continued he has also received many awards in his life. He is the oldest person ever who has received Padma Bhushan, in the year 2013. He was also awarded by Sangeet Natak Akademi Award and the government of NCT also honored him by Lifetime achievement award in the year 2013 in Delhi. He was born in the year 1930. He belongs to the Mewati gharana of Hindustani classical music. He was trained by his elder brother, Maniram and later from Maharaja Jaywant Singh Waghela and Ustad Gulam Kadar Khan of Mewat gharana. 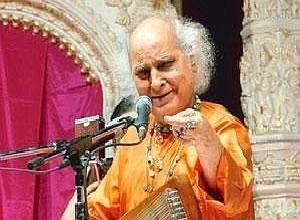 He has also done extensive research in Haveli Sangeet under Baba Shyam Manohar Goswami Maharaj to create a numerous innovative bandish. He has also got many awards in his successful music career. He was awarded by Sangeet Natak Akademi in the year 1987 and was also the recipient of Padma Vibhushan award in 2000. 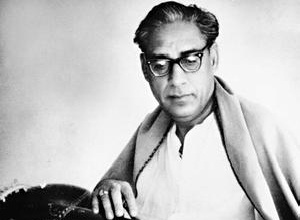 This famous figure of Hindustani classical music and the founder of Indore Gharana was born in the year 1912. He was initially trained by his father on the Merukhand technique. Later he developed his own interest on the singing style and was deeply influenced by the singing styles of (vilambit tempo), Rajab Ali Khan (taans) and Aman Ali Khan (the rexmerukhand). In his successful carrier he also also received many awards. He was the recipient of Sangeet Natak Akademi Awards in the year 1967, Presidential Award, Swar Vilas Sur Singar Sansad award and Padma Bhushan Award in the year 1971. This famous Hindustani vocalist was born in the year. 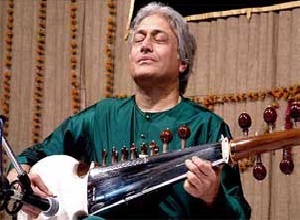 He is popularly known as the “Sarod Samrat”. He received training from the descendants of Miyan Tansen, who is considered to be the greatest musician of all times. This famous vocalist has also composed many ragas of his own like Kiran Ranjani, Haripriya Kanada, Shivanjali, Shyam Shri, Suhag Bhairav, Lalit Dhwani, Amiri Tidy and many more. He became also famous for composing for the Hong Kong Philharmonic Orchestra. He has also received many awards in his career. He was awarded with Padma Shri in the year 1975 and Padma Bhushan in 1991 followed by many awards. 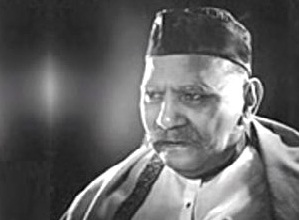 He was a famous Hindustani vocalist from Patiala gharana and was born in the year 1902. 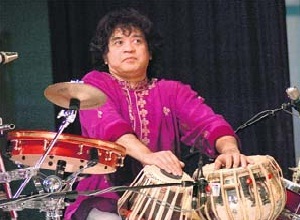 In his singing career he became popular after his after his debut concert in Kolkata and after his debut performance he started performing in different countries. He has also received many awards in his singing career. 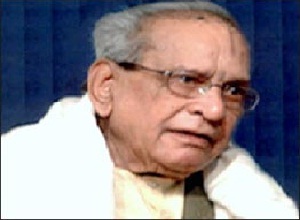 He was awarded the Sangeet Natak Akademi Award and the Padma Bhushan award in the year 1962. 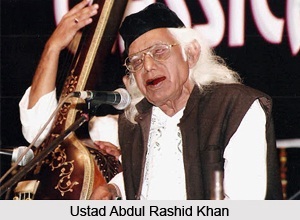 This famous Hindustani Vocalist was born in the year 1924. He was not associated with any gharana and he used to believe in trying his own style. His style of singing also includes many dramatic gestures and through smiles which was thoroughly enjoyed by the people. He was awarded the Padma Bhushan Award in the year 1990. This legend was born in the year 1922. 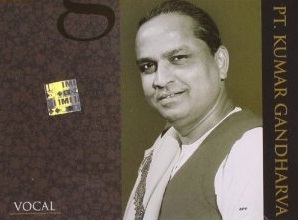 He was an Indian vocalist in the Hindustani classical style. He started music at a very young age and gave his first public performance at the age of 19. He became famous among the music lovers with his ability to entertain the audience with some awesome music. He was awarded the Sangeet Natak Akademi Fellowship by Sangeet Natak Akademi in the year 1998 and Bharat Ratna in the year 2008. 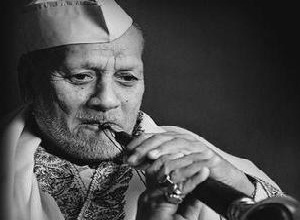 Ustad Bismillah Khan, one of the India’s most famous Hindustani Vocalist was born in the year 1913. This famous person have performed across the globe and has a huge fan following. He was also awarded with the top four civilian award namely Padma Shri, Padma Bhushan and Padma Vibhushan along with the Bharat Ratna. He is considered as a gem of India. This famous Hindustani Vocalist was born in the year 1951. He is known for many awards and has won the hearts of the people through its beats, rhythm and exciting performances. He was awarded with Padma Shri in the year1988 and Padma Bhushan in 2002. The list of his awards also includes Sangeet Natak Akademi Award, given by India’s National academy of Music, Dance and Drama which he received in 1990. This famous musician was also awarded with many more awards and is said to be one of the legend of fusion music. 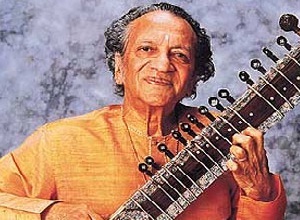 This famous sitar player was born in the year 1920 and considered as one among top musicians in India. He is famous for the Hindustani Classical Music. This famous musician has also worked as a composer, created Apu Trilogy by Satyajit Ray. He became popular from the year 1960 through teaching and performances in many countries. Pandit Ravi Shankar was also awarded with Bharat Ratna in the year 1999 and this musician ended his journey in the year 2012.